This item is sold as a pack of 24 sheets. 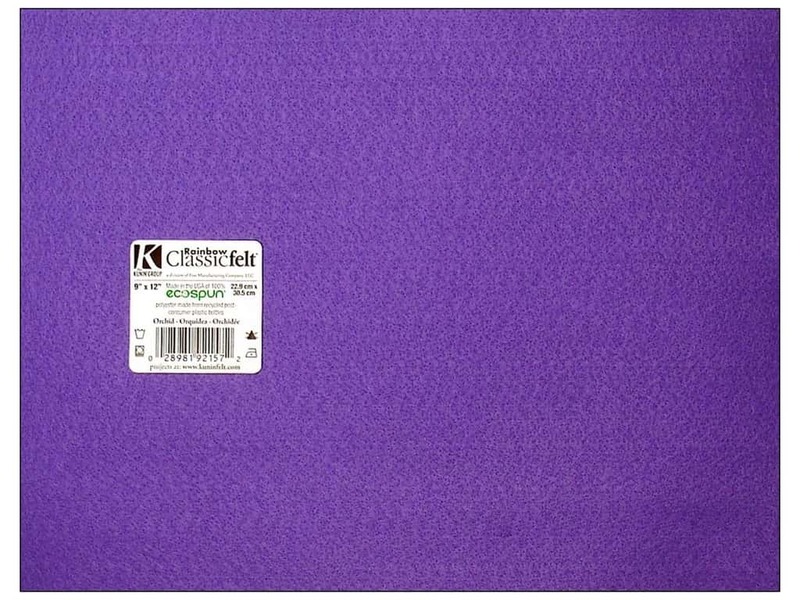 Description: Kunin Rainbow Classic Felt is the ideal fabric for home, school, camp and every day craft projects. Kunin Felt cuts cleanly with no fraying and can easily be sewn and glued. Fade resistant. Machine Washable and dryable. Made of 100% Ecospun which is polyester made from post-consumer recycled and BPA-free plastic bottles. 9 x 12 inch. Orchid. See more Kunin Felt 9 x 12 in. Sheets.